We run a national-level nonprofit. Donations are our lifeline and donor list development is an essential staple for all nonprofits. But let’s be honest, don’t you hate it when someone calls you unsolicited asking for a donation during the dinner hour? Or when your ​inbox fills up with so much spam you waste valuable work time sorting through it all? We want to be clear: all forms of direct marketing do involve communicating in unsolicited ways. But sending "spam" emails will not help your business grow. Repeat: becoming an Internet spam marketer will not help your business grow. Even worse, spam campaigns will hurt your reputation and could even get your Internet business shut down. It is a legal requirement under the CAN-SPAM Act of 2003 (enacted in 2004) that if your email is a solicitation you must be very clear that it is a solicitation, what you are soliciting, and who you are. In all unsolicited emails, CAN-SPAM requires you include a physical address and contact information for your business. You may not hide, alter, or use fake aliases or give misleading information in your to, from, or subject fields. Provide opt-out information (unsubscribe option) but we strongly recommend you never contact anyone more than once. There is no need or true value in following-up on unsolicited emails if you get no response. All you are doing is spamming someone twice. If you want to know the open and click-through rate of any email campaign, choose a service that can track this information for you. No business can legitimately have thousands of unsolicited leads unless you purchase lists, illegally harvest email addresses, or obtain them in some other unethical (or illegal) manner and service providers know that. Large email batches always draw considerable attention from service providers on your end and on your recipient’s end. If you start sending out thousands of solicitations you are likely to overload your own servers, your ISP's or web host's servers, and you are likely to trigger spam filters on recipient's email servers. Almost all types of Internet service providers have a right to restrict, rescind, or terminate your account privileges for abuse without offering a refund. Remember, if you abuse your privileges you make your service provider look bad, too. If their servers get blacklisted as spammers because of your email activities be assured they will shut you down. If you start causing traffic problems on any hosts’ servers you could lose your account privileges. If your website is identified as part of the spam campaign you could end up blacklisted by all major search engines. Unless someone else you know or you have already done business with recommends you contact another person – don’t do it. Purchasing large email lists is a waste of money. There are better ways you could invest your direct marketing dollars than in mass Internet spam campaigns. It is almost impossible to know how the owner of the list came about the email addresses, how well they are targeted to your needs, or if they are even valid email addresses. 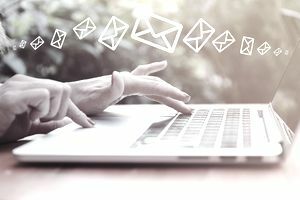 Until you send out your campaign and have it fall flat, there is no way to be certain if you are not simply using another spammer’s email list. It is illegal to use automated means to “harvest” (collect) email addresses from the Internet. You cannot use any form of automated program or technology to collect email address from websites, forums, blogs, discussion lists, etc. Doing so is in direct violation of CAN-SPAM Act laws. You can legally collect addresses manually but the trouble is there is no way to prove your collection methods were honest if anyone complains. And, the recipient often feels their privacy was violated if you say “I got your email address from a forum we both belong to.” If they complain to the website owner, you could find a nasty post about you and your business in the next forum post! Why Should Your Small Business Have a Marketing Plan?